WE ARE ALWAYS LOOKING FOR NEW DESIGNERS AND BLOGGERS. FILL THE APPLICATION IF YOU WANNA JOIN US! 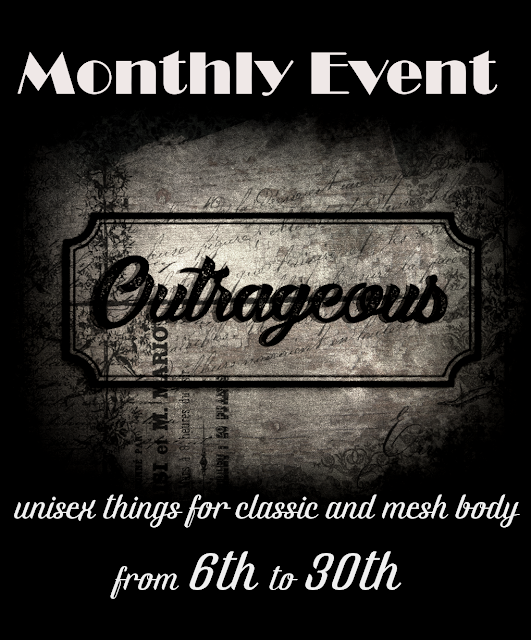 Outrageous is a SecondLife Event, contact Agnes Pexington inworld for info. Tema Finestra immagine. Powered by Blogger.